KC Tools is a set of tools for "in deep" development and troubleshooting of WEB sites. It allows reading of environment info, direct database access and terminal-like interface with server. 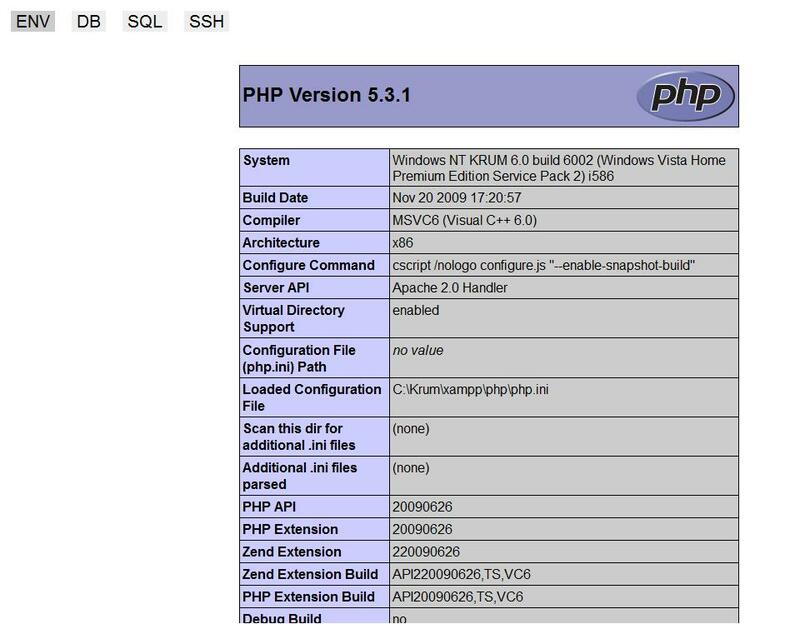 It exists as "pure PHP" and WordPress plugin, they have slight different functions. It is locked by password to your browser only, so you can use it on life sites securely. I create it as “swiss knife” tool for me for everyday use long time ago, it saves me countless number of hours, helps me in so much cases, so I decide to release it as finished product. Gurus: It contain 3 tools. First allows to see environment variables and PHP init settings. Second allows direct communication with database, think about "mysql" UNIX command line tool. Also can upload and execute SQL file. 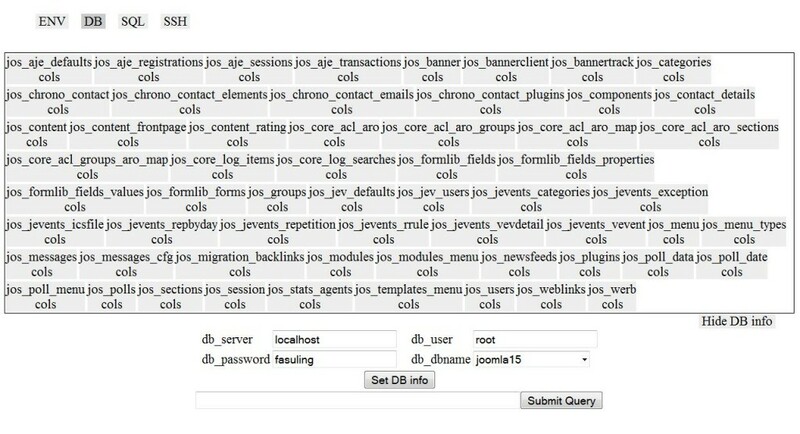 It is very light phpMyAdmin. Third is terminal-like tool, allowing command row, almost like SSH, but restricted to HTTPD user rights and no way to run continuous tasks like "top". There exists a free WP version (plugin) too, with less functions. 2. Do MD5 of your password. 3. Open the file and set your password. 4. Upload the file to the site, where you can run it by WEB. 5. Point your browser to it. 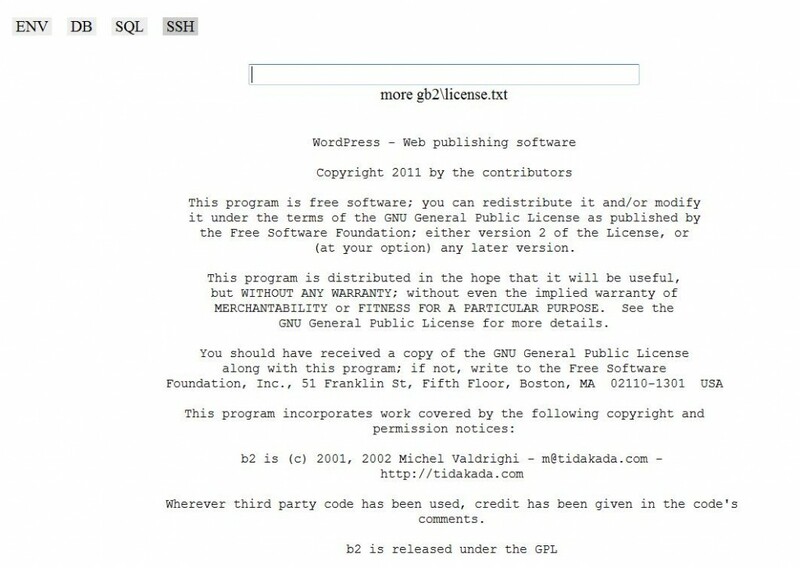 Short version: You can have only "this" version with "One version license". For future updates, bugfixes and new versions buy "Developer license". This entry was posted in KC Tools, Other products and tagged KC Tools, kctools. Bookmark the permalink.